If we run VMWare player on Ubuntu to run guest OS, and if the virtual machine files are stored in a NTFS partition (like a large External HDD), then chances are that you would notice mount.ntfs taking up almost 100% cpu usage once the Vmware’s Image is started. This will most certainly leave your system unusable until you are able to get the vmware down. 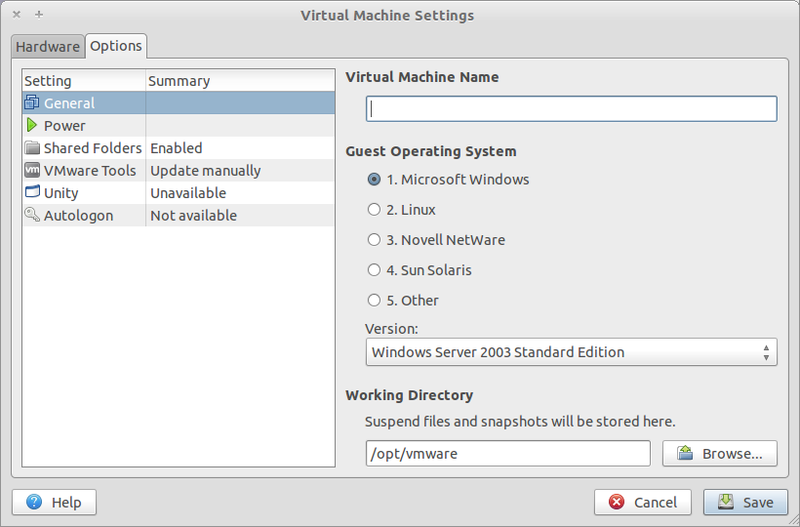 Ensure the directory provided has write permissions for the user configured to run the vm. thanks for pointing this out. Havig a large.vmx on an external USB3 HDD which runs on NTFS. On my Ubuntu 14.10 mount.ntfs stalls my system. Now changing the working directory into my “homefolder/vmwareTMP” which runs on a SSD is just ridiculously smooth. There is essentially no hint that it is running in a virtual system anymore. It’s very useful. Big, Big thanks to you human.